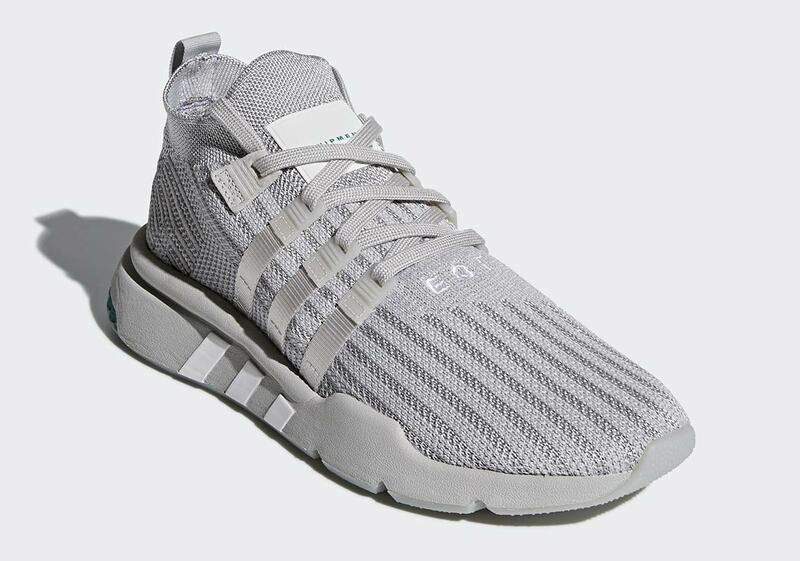 adidas’ classic EQT line continues to receive modern-day makeovers with updated technology, and their newest EQT Support Mid ADV is set to arrive in a clean grey colorway. 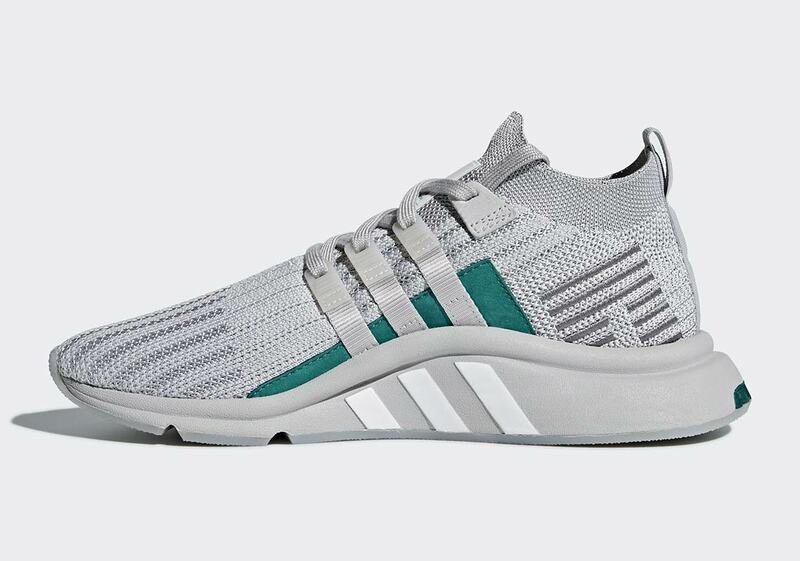 Featuring an all-Primeknit upper, the shoe’s tonal grey aesthetic is offset by a minimal white EQT hit at the bottom of the lacing system and green suede detailing on the medial side of the midfoot, nodding to one of the original EQT line’s most prominent colors. 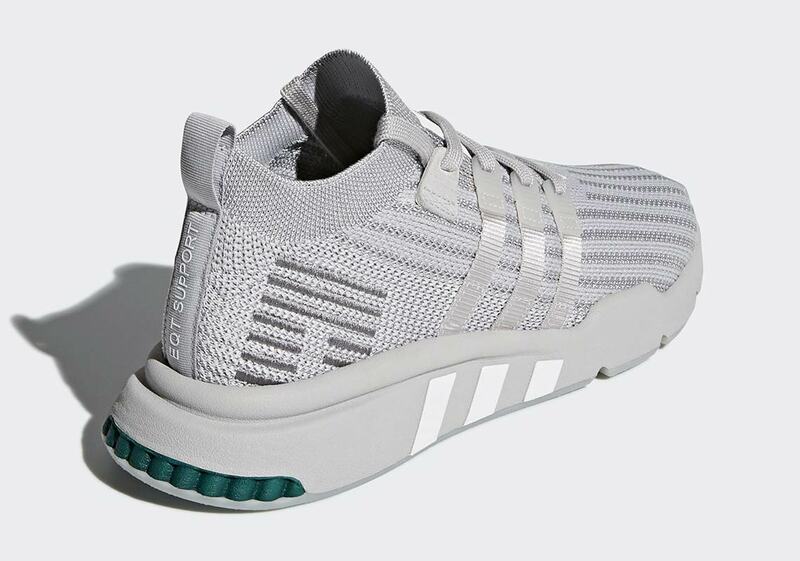 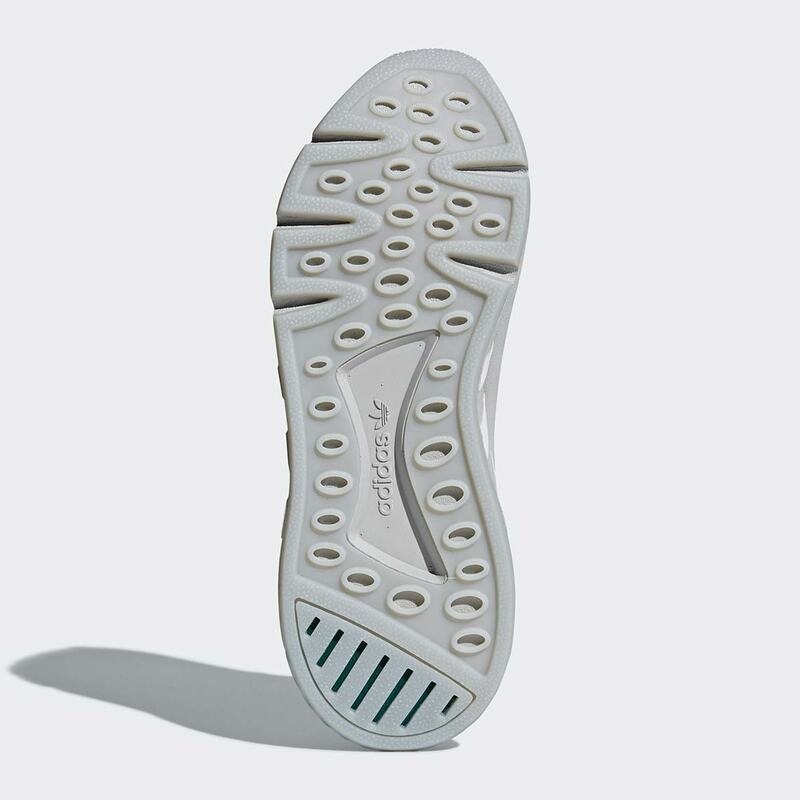 A grey midsole with white 3 stripe detailing and a small dash of green on the heel’s cushioning system for further contrast ties the shoe’s aesthetic together. 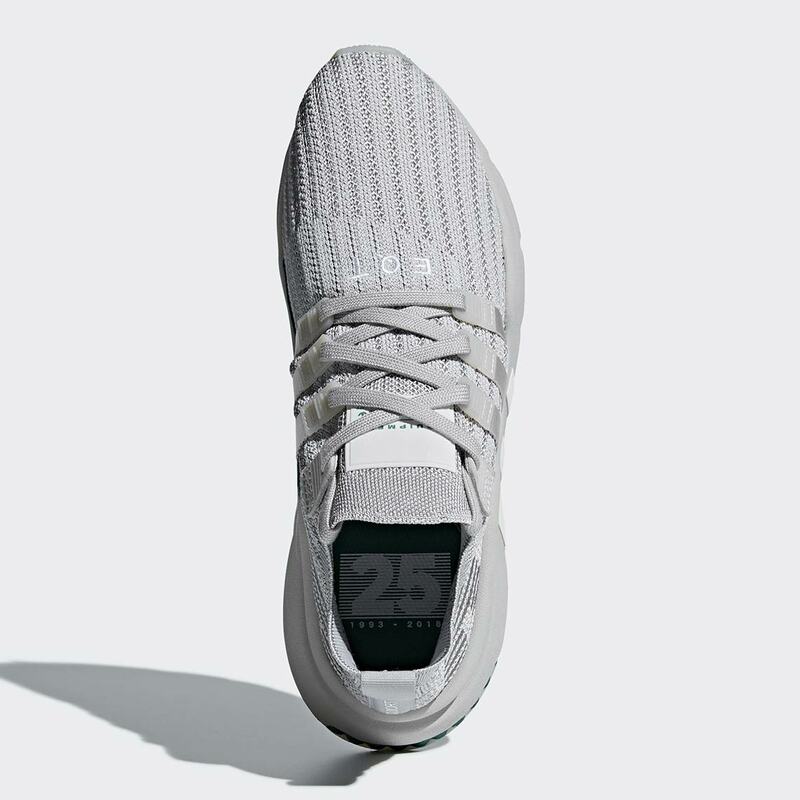 For a final nod to its roots, a “25” graphic adorns the insole, commemorating 25 years of EQT. 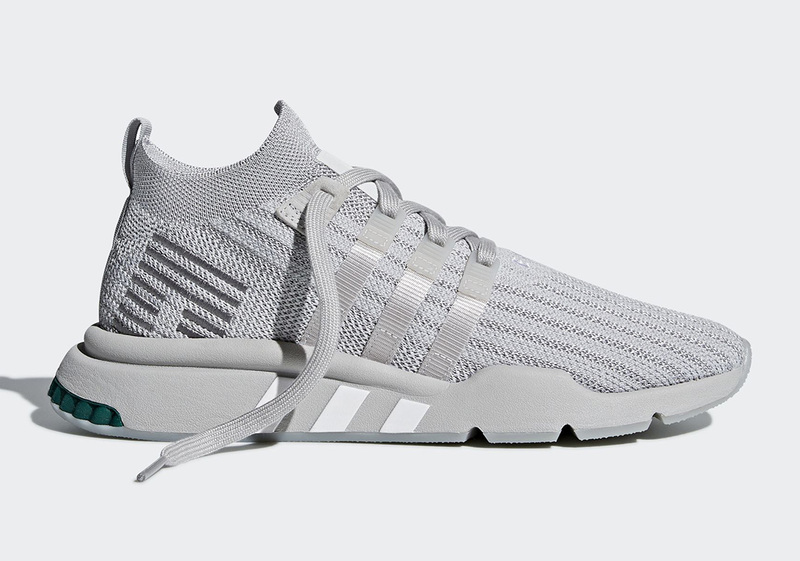 Looking to pick up a pair? 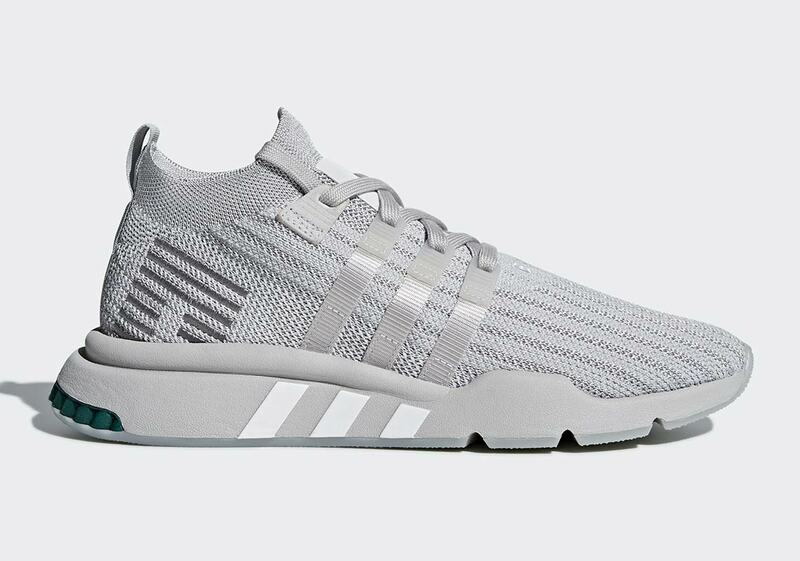 They’ll be available on adidas.com June 1st, and are set to retail for $120 USD.